This summer will mark one year since the hit teen thriller Pretty Little Liars concluded its seven season run, but fans of the Rosewood residents need not fret. 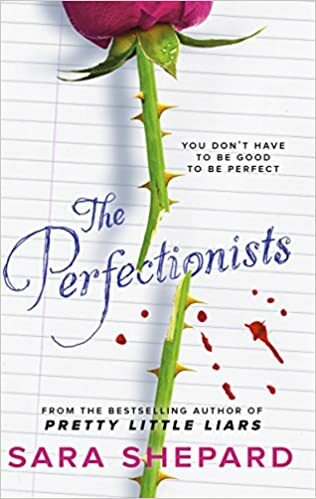 A spinoff series titled The Perfections will be coming to Freeform in 2019, continuing the stories of some of our favorite liars. Showrunner I. Marlene King, who brought the parent series to our screens, is also helming the spinoff, pulling inspiration from Sara Shephard’s novel of the same name (Shephard also wrote the Pretty Little Liars novels). Janel Parrish and Sasha Pieterse are set to reprise their roles as Mona Vanderwaal and Alison DiLaurentis, respectively, as main leads alongside Sofia Carson, who will be playing a blogger and aspiring fashion icon named Ava. Sydney Park – this Walking Dead alum is playing Caitlin, an aspiring politician trying to live in her perfect mothers’ footsteps. Eli Brown – this up-and-coming actor is playing Dylan, a cellist that deeply loves both his music and his boyfriend. He strives to be amazing at everything he does due to the pressure of his small town. Kelly Rutherford – this Gossip Girl alum is playing Claire Hotchkiss, the co-founder of Hotchkiss Industries and Beacon Heights University. She works with her husband, the other co-founder. Hayley Erin – this role is being kept under wraps. All that’s known about this General Hospital alum’s role is that her character is mysterious. The series is set in the town of Beacon Heights, where everything seems perfect; it revolves around the lives of five young teenagers who plot the killing of Nolan Hotchkiss, a popular and rich guy who used all five of them. They never actually succeed with the plan, but soon Hotchkiss is found dead the same way they planned, and the group soon become prime suspects of the murder. They must now find out who killed him, and why. Pretty Little Liars: The Perfectionists was ordered last September, with production beginning in March 2018. The series is set to premiere on Freeform in 2019. Are you excited to be immersed in the Pretty Little Liars world again? Comment below and tweet us @Fuzzable with all of your love and excitement for the series!